From March until October, my fridge is always stocked (generally overstocked, actually) with as many fresh berries as I can find at Costco. I miss them all winter long, and the first day I can find fresh strawberries at Costco is like a mini holiday for me. :) We do pretty well with eating them all before they go bad, but occasionally I'm left with half a carton of berries that are rapidly going south and are just screaming to be used in a delicious recipe. 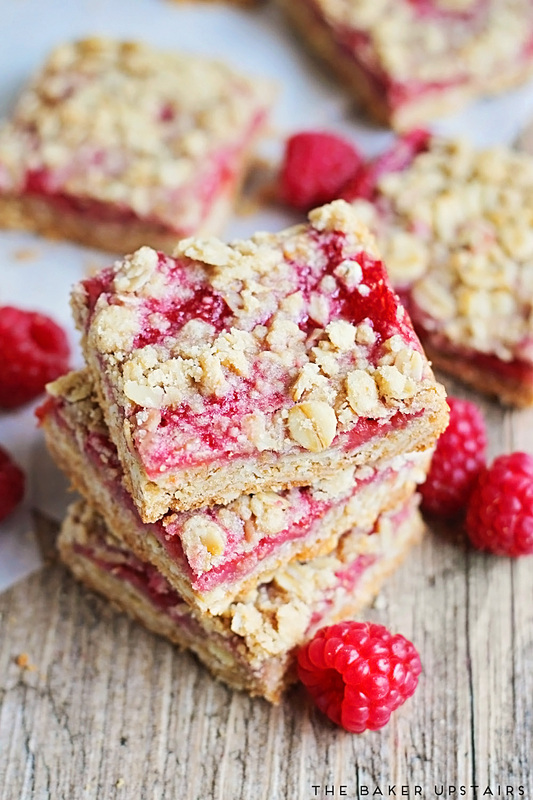 Such was the case with the raspberries I used to make these raspberry crumb bars. 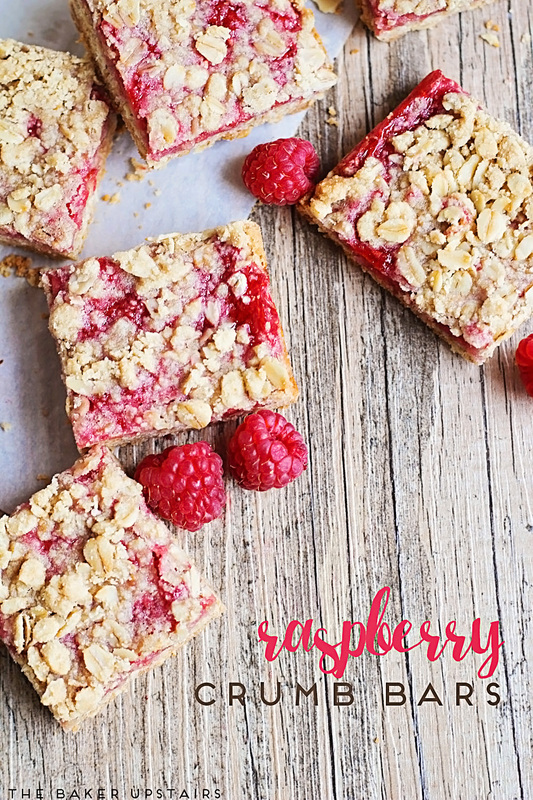 I used them to make a quick raspberry jam using this method, then spread it on top of a buttery oatmeal crumb base and topped with more crumbled oatmeal mixture. 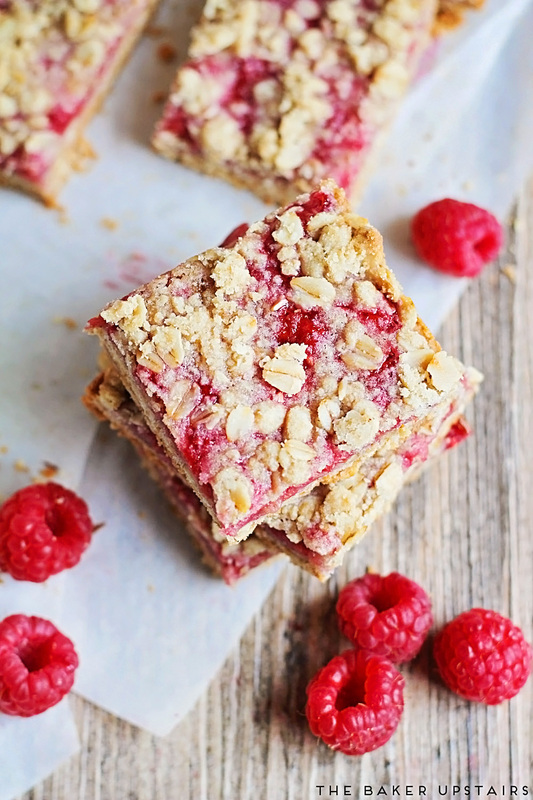 They baked into these delicious, crumbly bars bursting with raspberry flavor. So delicious! If you don't have fresh berries on hand, you could definitely use store-bought jam and I'm sure they would be just as delicious. 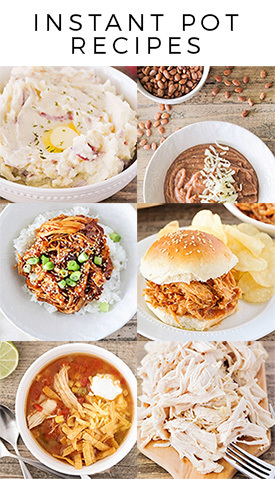 These bars are a must try this summer! Preheat the oven to 350 and line an 8 x 8 baking dish with parchment or foil, and set aside. 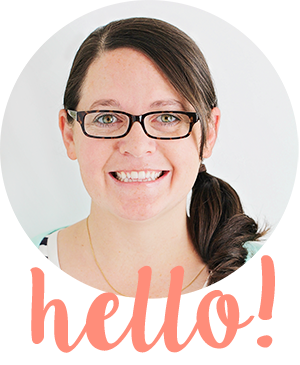 In a medium bowl, mix together the flour, baking soda, salt, oats, and sugar. Mix in the butter to form a crumbly dough. Press two thirds of the dough into the prepared baking dish. Spread the raspberry jam evenly over the top, then sprinkle the remaining dough on top. Bake 35-40 minutes, or until lightly golden on top. Remove and let cool before slicing and serving.